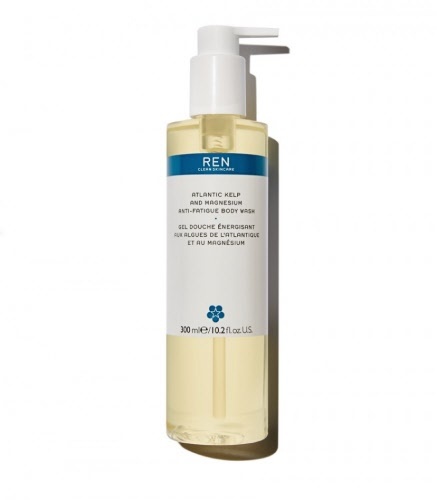 A reviving and cell energising REN Body Wash with extracts of seaweed and magnesium. A sulphate-free reviving body cleanser formulated with Atlantic Kelp Extract and energizing Magnesium PCA with moisturising properties to help nourish, smooth and tone skin. Infused Anti-Fatigue Essential Oils blend will awaken and refresh sluggish skin as well as your senses, for an ultimate and uplifting shower experience. To Use: In the shower or bath, massage and lather a generous amount over the body with your hands or the help of a loofah. Rinse thoroughly. Follow with REN Atlantic Kelp and Magnesium Anti-Fatigue Body Cream. Powered by ShopFactory to sell P1646 online. All-in one eCommerce and online shopping cart software.